It’s a delicious alternative to flour pizza dough with a low calorie content. It’s also rich in proteins and has almost no carbohydrates or fat. 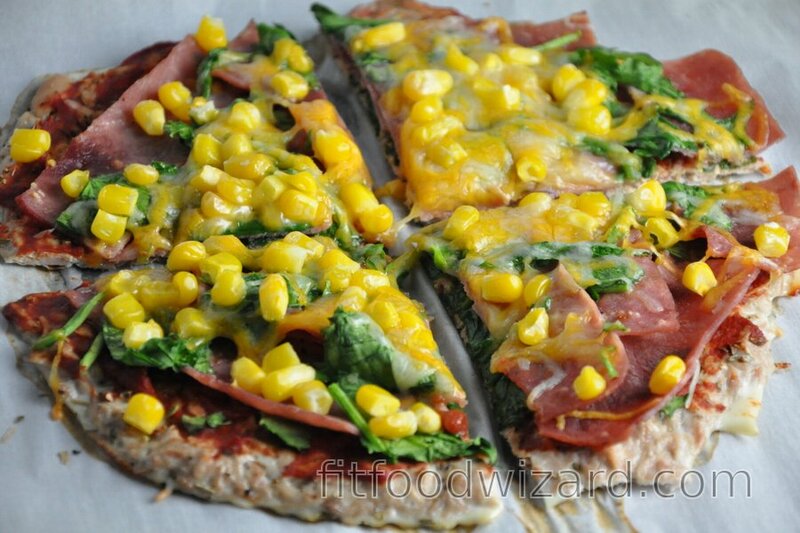 Moreover, this fitness tuna pizza is really easy to make, anyone can handle it. You will only need 2 basic ingredients. Try out this tasty and healthy homemade pizza, you won’t regret it. If you also like to try new, interesting meals that are healthy as well, or if you have already tried some alternative of healthy pizza (for example, zucchini, cauliflower, oat, flaxseed or meat pizza), this tuna pizza crust should already be on your list. Regarding flavor, it belongs among my 2 most favorite variants, together with the zucchini pizza, and I make them very often. Even everyone whom I offered it to, loved it. Again, it is a fitness food, which can also be called a protein bomb, while the whole pizza dough contains only 171 kcal and up to 40 g of protein. This tuna pizza is ideal for diet if you are trying to lose weight for bikini body or to build more muscle mass. You can serve any ingredients you like on the top of this pizza. I always vary them, but my classic combination is tomato purée stirred with oregano, quality ham or prosciutto, spinach, mozzarella and corn. Nutritional values ​​are calculated only for the tuna crust itself. Mix drained tuna with egg whites and spices. Spread the dough onto a baking sheet lined with parchment paper. Bake the dough at 190 degrees Celsius (375 °F) for 10 minutes. After that, place desired ingredients on top of the pizza crust and bake for another 5 minutes.